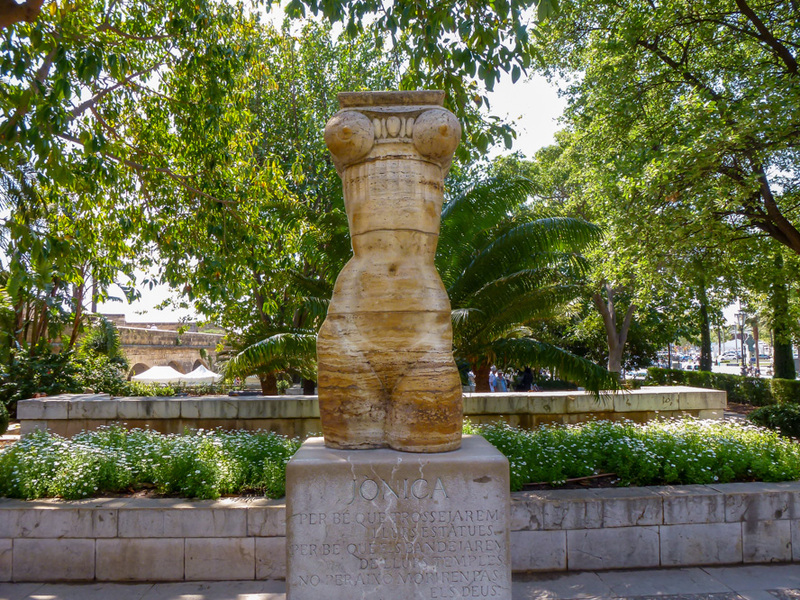 The Catalan artist Josep Maria Subirachs i Sitjar (Barcelona, 1927) is the creator of a sculpture placed in the Jardins de s’Hort del Rei in Palma, called Jònica (1963). The sculpture is made of marble and carries the inscription of an excerpt of the poem Ionic by the Greek poet Cavafy. The Municipal authorities of Palma accepted the sculpture as a gift in 1983. The artist’s best known work is probably the Passion Facade of the basilica of the Sagrada Família in Barcelona. Subirachs died last month, age 87. The photo was taken in Palma de Mallorca, Baleares, Spain. The date: April 16th, 2014.